British Engineering Excellence Awards 2019 is now open for entries. Launched in 2009, this year the BEEA’S hits its 10th anniversary – promising to be the biggest and best event yet. 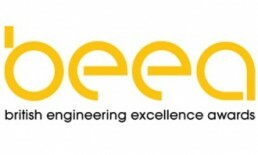 For many years, the BEEAs has helped to give the industry the status it deserves, rewarding those who have shown innovation in design over the past year. Taking place on Friday 11th October at Landmark Hotel, London, this year’s event will be judged by an independent panel of judges from both mechanical and electronic design disciplines. If you feel that your company or colleague deserves this recognition, enter now for free. WNIE Live 2019 has officially launched its Call for Papers, inviting experts from the industry to get involved. The conference will take place from 18th – 19th September 2019 at the NAEC Stoneleigh at Stoneleigh Park. 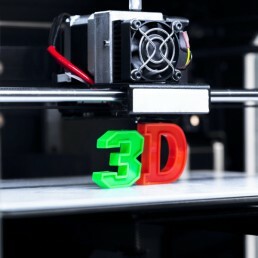 The two-day conference will offer exclusive content and will cover topics such as Embedded Engineering and Design and Manufacturing; giving visitors the opportunity to witness a portfolio of new products and innovation in action. WNIE Live is on the search for speakers interested in presenting new technologies, new concepts and applications. The audience should be able to see the future of the industry and have valuable solutions for today’s industry matters. The deadline for the submission of abstracts of papers for presentation is Friday June 21st, 2019. For more information please visit the website. Bits&Chips, the leading Dutch news and magazine for the high-tech industry, has announced that it will be published in English from April 2019. For 20 years now, the magazine has focused on delivering interesting news and trends on electronics and software development. The change from Dutch to English has been driven from two main trends. This move will ensure publisher Techwatch can reach a large number of expats that has moved to Belgium and the Netherlands; with the High-Tech Campus in Eindhoven, hosting more than one third of the population of workers in R&D which do not speak Dutch. Bits&Chips are also seeking an international audience for its native customers, with readers expressing their need for an international platform to be represented. With key markets in Belgium and The Netherlands including printing, medical, semicon and RF/mixed signal chips. Moving forward, Bits&Chips will primarily cover these markets and will focus on software engineering, RF technology and system architecture. We wish Bits&Chips all the best for the future. Michelle Winny has left Electronics Magazine after nine years as Editor, to start a new job at Seatrade Cruise. Electronics Magazine will have a new editor starting at the beginning of April, and we wish Michelle the best of luck for the future. Embedded World has long been regarded as the ‘go-to’ place to gain insight on embedded system technologies, and is a great opportunity to discover innovations and meet many field experts. In its 17th year, the event received more visitors and exhibitors than ever – with over 31,000 trade visitors and over 1000 worldwide companies attending. This year’s event has received nothing but positive feedback, with more than 96% of visitors stating that they would take part again in 2020 even before this year’s event was over. Feedback from exhibiting companies was also positive with 90% expressing interest in booking a stand for next year. 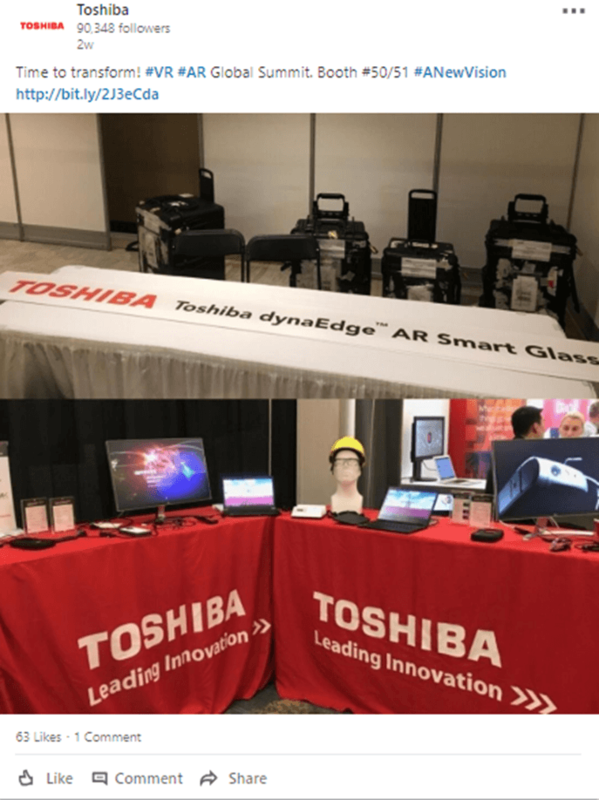 This year, alongside the trade show, the Electronic Displays Conference once again ran, covering the latest display technologies such as LCD, touch screens, optical bonding, display systems and cutting-edge HDR technology. As one of the most important European B2B platforms for display technologies, the conference received excellent feedback, with Professor Karl Heinz Blankenbach, chair of the congress advisory council for the electronic displays conference stating “The conference, which has grown yet again, was an outstanding event. The feedback from participants shows that this year’s topics once again hit the spot”. Highlights include keynotes on display trends and micro LEDs, and four sessions on automotive displays. 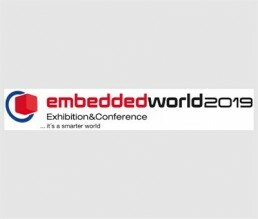 This year, the Embedded World conference chose ‘embedded intelligence’ as its key theme, focusing on high-performance computers and the capability of processes/integrated circuits in the embedded sector. 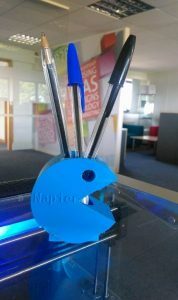 Napier had several clients exhibiting or speaking at this year’s event and arranged several editor meetings. These clients and their products have generated a huge amount of coverage across the European technology press and I am sure that many of them won’t hesitate in returning to Embedded World in 2020. Email marketing has been around for decades, but as the years have gone by, the channel has become more advanced and marketing trends become an important part of any email marketers strategy. Email marketers need to stay up to date on these evolving trends and stay ahead of their competitors. Using Expertsender’s new report, we have picked out some of the highlights that we think will be important for 2019. Storytelling is a strategy that many marketers use to help their audience not only learn about their products/services, but to form an emotional connection, which in turn, can lead to customer loyalty meaning your customers will come back to you again and again. Stories allow customers to relate to the brand and engage them in ways that other traditional marketing such as print advertising may not. Expertsender’s report state that "only 25% of existing customer data meets GDPR requirements". It is so important to have GDPR in the back of your mind, as it can affect many of your marketing decisions. A big change to the EU data protection is based on personal data and according to SuperOffice there are "more than 269 billion emails sent every day and expected to reach 333 billion by 2021". Your subscriber list should be comprised of customers and prospects that want to engage with your company, engagement rates will be higher if you have a list made up of contacts interested in your brand. End-to-end encryption (E2EE) is a way to securely communicate whilst preventing third parties from accessing the data as it is transferred from one place to another. 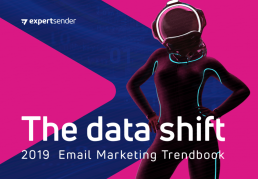 With Expertsender believing that consumers are going to be demanding E2EE in the upcoming years, it’s important to consider this emerging trend to be aware of how it might impact your marketing emails. Cost effective - if the email service has encryption integrated into the server, there is no need to purchase additional equipment. By using customer behavioural data on what products customers browse and buy, data science helps marketers engage better with their audience. There are many ways in which you can incorporate the data science; for example, in the form of predictive marketing (giving the user suggestions on words they are going to type based on what they have entered) or perhaps sending relevant emails to gain valuable insights. Data science gives companies access to useful bits of collated data through a variety of channels which are then used to estimate purchase decisions such as, how audiences likes to shop and when they are more likely to buy. According to Expertsender, "Up to 95% of website visitors are anonymous and once they’ve left your website there’s no way for you to send them an email". This is why retargeting is becoming more popular; as the technique allows you to serve ads to people who have previously been visiting your website. This is done by placing a single line of coding on the site and those who click on the email will be served ads across the web. Retargeting also applies to non-email retargeting such as ads through your Customer Relationship Management system (CRM). 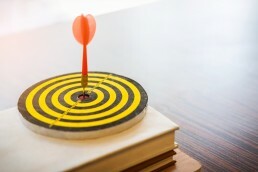 Email and CRM retargeting are effective in building many touch points with customers and both techniques can be used to improve the reach of email marketing campaigns. 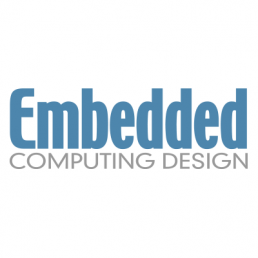 Alix Paultre has rejoined the editorial team at Embedded Computing Design, and will handle Analog, Power, and embedded topics, as well as serving as their European Correspondent. Over the last 20 years, Alix has worked with several media companies and properties for the embedded electronics industry. From Electronics Products, to covering Advantage Business and Power Systems Design. We wish Alix all the best for the future. Arduino, a leader in open-source hardware and software ecosystem, has announced a partnership with Supplyframe, the industry network for electronics design and manufacturing. The partnership will allow the companies to provide targeted and contextual advertising from leading brands across the industry; and will incorporate Supplyframe’s technology infrastructure to deliver campaign messages to Arduino’s portal of four million users. Steve Flagg, CEO of Supplyframe commented “We’re excited to play a part in connecting millions of professionals, students and makers to relevant device and component manufacturers, in addition to distributors carrying the Arduino product lines. Both our companies are committed to facilitate the future of hardware innovation, and it seemed natural for us to participate in this joint effort”. The partnership of Arduino and Supplyframe is sure to benefit the worldwide technology communities, and provide more value to their engineering audience across the globe. We wish them both the best for the future. We wish Rachel the best of luck in her new role and look forward to seeing WNIE’s growth continue. WNIE Live recently announced that it would be returning in September 2019, and has now revealed it will be located in the Midlands at the NAEC Stoneleigh in Warwickshire, a major center of R&D, development and manufacturing in the UK. Taking place from the 18th-19th September, WNIE Live provides visitors the opportunity to see a range of products in action; welcoming over 3000 people through the doors. Hosting the event in the midland’s region brings many fundamental advantages to WNIE Live, as the region is home to two advanced manufacturing centres, The University of Warwick, and the recently announced Smart City Mobility Centre at Wellesbourne Technology Park. To find out more information about the event, please click here. Many B2B companies who are targeting high-value customers find an ABM strategy serves them better than a broad-reaching approach. A well-structured strategic plan is vital in supporting a company’s long term business plans but can also help identify metrics to measure the success of your ABM. Be sure to measure and optimize your ABM marketing campaigns to ensure they are performing well and improving over time. You should see what the results are for each individual campaign as it will be easier to draw conclusions. 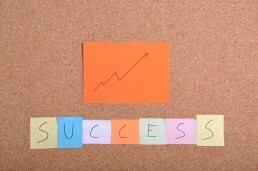 Start with your strategy as it sets clear tasks and objectives as well as coordinates employees towards a common goal. Have you got hundreds of target accounts in a document that hasn’t been updated in a long time? You should build your target account list and evaluate current customers, leverage named accounts and use the account identification technology. Analyse whether your channels are performing well and consider adding in new ones if they are underperforming. ABM efforts can crumble if you aren’t able to deliver measurable results. It’s essential to be able to measure the impact of the campaign to ensure you can identify an RoI as well as giving you the data to enhance it. Marketing automation platforms can deliver metrics and insights at different levels with hardly any effort from behalf of sales and marketing. Targeted personalized content is crucial for ABM because it builds trust with your accounts. Personalisation should be part of almost every ABM tactic, and if it’s not possible to customize the message on a personal level it must be written specifically for that account. Good personalization makes your tactics even more effective by encouraging engagement and interest in what you have to say about your products or services. After you have covered strategy, move on to metrics. Metrics are crucial for B2B companies and the rise of ABM demands new ways of thinking about metrics. Coverage – How effective is your team building contacts and how complete is your account data? Keeping an eye on coverage will help you understand data quality and will determine whether your database includes the right contacts. A good way to start is building a spreadsheet of how many contacts you have for each single account to help see where you have gaps and then you can build on this list over time. Engagement – Do you have the right people spending time looking and interacting with the company? Has engagement gone up over time? Using a straightforward model like the one below to help demonstrate the impact of your ABM accounts on key business outcomes. The table helps to break down important stats and have a better understanding of acquisition and expansion. Awareness- Do your target accounts know what your company really does? You should look to see if you have had an increase of web visits or interactions over time. If this is relatively low maybe think about changing your content on the website and make landing pages more appealing for your target audience. Touchpoints – A good indicator of success is whether your ABM is truly reaching out to the right people. Some of your campaigns may be ranking high in engagement but if its not with the right target audience, what’s the point. A good starting point for this would be to define your target accounts and break them down in grades. For the first grade, you could have the top 5% of your total target accounts, second grade top 20% and so on. Techniques like this aim to hit your specific target accounts. Measuring these touchpoints will help you understand what campaigns are working well - a great stepping stone! Revenue– Finally, the most important metric for all businesses is money! In order to track and measure revenue correctly, we need full-funnel account-based attribution. 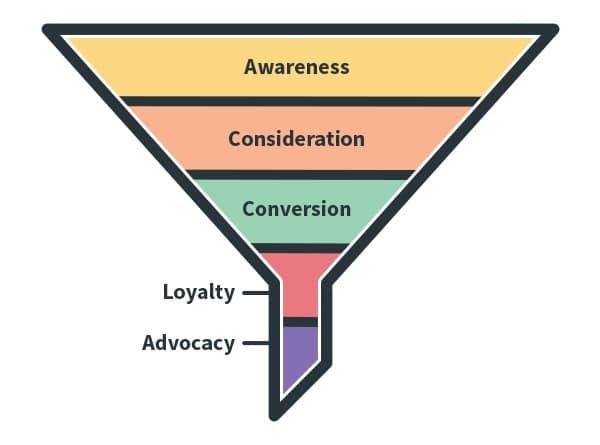 Although revenue is thought of as the bottom of the marketing funnel, everything from the first touch to the last will contribute to revenue generation. Account-based marketing is a core strategy for B2B businesses; designed to deliver growth and awareness with high-value accounts. Lots of people are still on the fence about ABM because of the challenges and obstacles they may have to overcome. Identifying these issues and acting accordingly to solve them will help your colleagues stay focused on successes. So how can you overcome these hindrances? This blog will explain some of the challenges you may come across and give you some tips. You need to be able to deliver good content experience that will keep people in your target account engaged and hold their attention throughout the buying journey. Being able to deliver a content experience with the right content is critical. Start off with one account-personalized asset before moving on to the next. Presenting a series of personalized account content to match each buying stage is wise because it offers more personal experience for the reader. 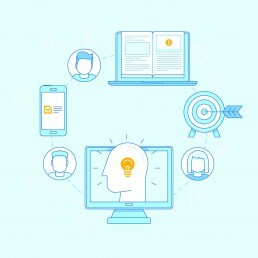 Technology can really help to serve the next stage content, based on what the reader is looking for by providing a unique content experience for each individual. You need to develop a manageable process that will identify the right account for your efforts. ABM will only work if you focus on the right opportunities. If you are already carrying out inbound activities, it is advisable to use your inbound leads to identify the best fit opportunities for ABM. This process will ensure you are focusing and nurturing the right accounts and ensure you have the right amount to scale your activities. 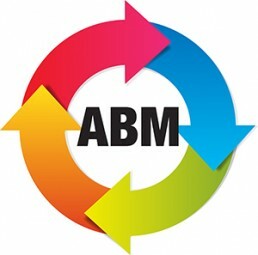 ABM marketing is all about personalization and B2B marketers need to find way to connect with consumers through offering compelling and relevant information. To market to individuals, you need to build distinctive and relevant messages. The messages should focus on the individual’s pain points and provide solutions. Personalization is part of an ABM strategy and the better the personalization, the better the experience. A company’s website is key for ABM. With the right website experience, you should see better engagement. Sales and marketing come together. You need to be able to measure contribution and consider their joint impact. For both departments, they need to understand the goals and metrics to drive the best approach. 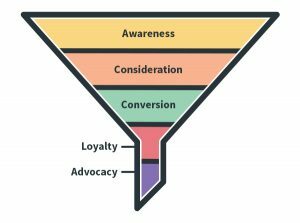 ABM is a full funnel activity so tracking and measuring every aspect of an ABM campaign is important. Using technology can help to scale aspects of your ABM. Having an ABM process that is repeated will help to make the most of your resources. Having said that, you should consider people’s judgements and unique account engagement – balancing both will help to be more account focussed. Knowing the best approach for your campaign will help to create processes and identify the right technology to scale, for the right accounts. In a 1-1 campaign you will want individuals to receive highly personalized content or maybe further down the line, personalizing by company. Prospective buyers are wary of speaking to sales teams until they are at the point of making a decision. They don’t want to make a decision where they may lack in context and want to know the ‘ins and outs’ of everything. A way of encouraging prospects to communicate is to train your sales team to understand a prospect’s pain points and business opportunities. We should kill off the negative mindset of ‘they aren’t ready to speak to us so they’re no good’. We need to start conversations expecting to act as a helpful resource and be able to help those prospects at different stages of the buying process. The Batteries event has announced its dates for 2019. Taking place from the 22nd – 24th October, the Batteries 2019 event will be hosted at the Nice Acropolis in France. For nearly 10 years , the market for batteries has grown significantly, producing a trend for more energy-efficient devices. The growth has come from the changing portable electronics markets and the strong driving force of the electrification of the automobile. Batteries Event 2019 provides visitors with the opportunity to see hundreds of products, as well as insight into the industry’s innovation. The event includes an exhibition and innovation center to allow exhibitors to promote their projects and innovations through live demonstrations. Aimed at electronics manufacturers, battery users and professionals from the renewable energy world, the Batteries event 2019 promises to be an event you don’t want to miss. To find out more information about the event and how to attend, please click here. The Drives & Controls show has released its brochure and floorplan for 2020. Bringing together key suppliers of state-of-the art equipment, the show covers areas such as energy efficiency, machine safety, drives, motion control, robotics and automation. Fully supported by the GAMBICA and the EPTDA, the Drives & Controls show is an essential source of technological and engineering information for design engineers. Taking place at the NEC Birmingham from the 21st-23rd April 2020; The Drives & Controls show will exhibit alongside shows such as Air-Tech, Fluid Power & Systems and Asset Management. The show provides great opportunities to visitors, with the co-location of the 2018 DFA Media events receiving more than 13,500 visitors over three days. With over 40,000 people expected to attend the NEC in just one week, it will be no surprise that this will be the largest manufacturing and engineering event of 2020. For more information and to get your own copy of the shows brochure please email Damien Oxlee or Andy Whylie. Google Analytics is an important tool to use in digital marketing. It allows businesses to measure results of campaigns, compare data and a whole lot more. Google Analytics shows data from all channels that are pointing traffic to a website, such as: PPC, social media, direct traffic and SEO. Analytics is a great way to show customer engagements, it will allow you to see how users are interacting with your site and content. Bounce rates, session duration and pages are also great features to investigate, for example, the amount of time spent on a page or percentage of visitors navigating away from the site. This gives you an indication of performance and areas to improve on. As well as knowing how many visitors your site has received, it is important to know how many of these visitors are converting. Google analytics allows you to set up goals to track when a user carries out an action on the site. No matter how many users each channel is driving to your website, it is important to know that this traffic is converting. With the importance of mobile first ranking, sites need to be more mobile friendly and Google Analytics allows you to learn more about who makes up your website traffic and where the traffic is coming from. The platform will also allow you to know if something needs changing or not depending on the number of visitors and or conversions. At Napier we have a Google Analytics Link Generator that will ensure you create a link that’s in the right format to transfer data across correctly. 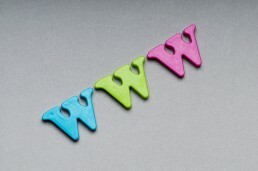 Use the tool to enter the details of your campaign and receive your Google Analytics coded link. Try out our generator today and let us know how it worked for you! 3D printing blog written by Jade Artuad, a two week placement student who joined Napier summer 2017 for experience at a marketing and PR agency. At first, I thought it would be extremely complicated, but then I learned some useful tips. The 3D printer I used was Robox. Load a model: I used the AutoMaker software, and the first thing I had to do was to load a model. You can either choose one already available or create your own. To do so, you can use a website called Tinkercad. Layout: once you have loaded it you can change the position, size and even rotation of your model. You can also choose the materials that will be used to make it. Settings: the third step is to choose how thin you want the 3D printing to be. The thinner it is, the longer it takes to print. Also, the size of the model affects the printing time. So, it is better to print a small model. Purge: before printing anything, make sure to select “purge”. Doing so will clear material from the print head. Once the purge is over, open the door of your 3D printing machine and remove the material. Make! The last step is to click on “make” and wait until the printing is done. Future Robotics, the UK’s only independent robotics conference, is taking place on Tuesday 13th November 2018 at The Slate, Warwick University. Targeting companies who are currently integrating or considering integrating industrial robotics into their processes, this conference and exhibition will offer visitors the opportunity to see the latest products and solutions within the industry. The featured CPD accredited seminar program will serve as platform for discussing vital trends, with visitors benefiting from presentations held by robotic experts, manufactures and suppliers. The exhibition will also feature a live demonstration area showcasing everything from individual components all the way to fully automated systems. Visitors will also have the opportunity to talk with experts about their individual cases and ideal solutions. To find out more about the Future Robotics conference and how to buy tickets please click here. WNIE LIVE has declared their event a success for 2018. Taking place at the NEC in Birmingham, WNIE LIVE 2018 provided visitors with the opportunity to witness hundreds of new products, and the industry’s innovation in action. As the only UK national instrumentation exhibition, WNIE LIVE offers a great platform for visitors to network; and this year the live demonstration of the IPC Connected Factory eXchange (CFX) IIoT Experience, offered visitors the opportunity to see global equipment suppliers working with industry experts. The experience showcased the benefits of this world-wide IoT communication standard for assembly manufacturing and was observed in real time by a group of 13 engineers located in Taiwan. Female Leaders in Tech Everywhere (FLITE) also hosted its networking lunch at WNIE LIVE 2018, which included a keynote presentation by leadership expert Alison Reid. Many visitors from the event had positive feedback about the launch, commenting that it was great to learn more about the aim of the FLITE group and to help promote and support females within the tech sector. WNIE LIVE has received positive feedback from both exhibitors and visitors for this year’s event, with Claire Saunders, Event Director commenting "The UK electronics and embedded sectors are still seen as global industry leaders, WNIE Live successfully delivered a platform for the industry to come together and connect, learn and make key contacts. Supported by a wealth of exhibitors, and although visitor numbers remained static the quality and level of business achieved continued to be high." WNIE Live will return in September 2019. Having joined Napier in September 2018 as a marketing specialist, I thought it would be a good idea to attend this event to help expand my knowledge and interest in the world of digital. The summit consisted of two days, the first day being conferences and the second workshops. I attended many conferences and workshops which covered a variety of topics such as search engine optimisation (SEO), conversion rate marketing and page speed politics, although in this blog I will be covering topics that stood out for me and ones that I thought really make a significant impact. Being able to listen and interact with many speakers was great. We got to hear about their background and wealth of knowledge/experience in the marketing industry. Their speeches, workshops and slides were so compelling and engaging and you could really see that the audience was captivated. The following tips and information on SEO, paid media strategies and mobile index is what I will share with you throughout this blog. As a marketing specialist, a lot of my work involves digital and I thought it was important to attend the SEO conference. Kaspar Szymanski, SEO expert and former senior Google employee led the presentation with the topic of exploiting SEO honeymoon period – how to exploit it and make your brand new site rank well continuously. He presented a few steps that we should consider in the honeymoon period for long lasting SEO performance for any new site. In this presentation, the speaker walked us through some of the latest features and updates across the main paid media platforms. It was full of inspirations and ideas and her suggestions were applicable for the whole marketing funnel. In the Awareness stage, at the top of the funnel, she suggested getting more involved in social media such as Instagram stories, Facebook ads, Pinterest promoted pins and Apple Search ads with demographics targeting. Consideration: local catalogue ads on display, Facebook messenger ads for brand engagement and one that will probably become popular is Facebook augmented ads. Preference: Google local search map ads, Affiliate location extensions on YouTube Ads and Shopping price benchmarks. Purchase: Shoppable ads on Instagram, Integration with Google Optimize & Google Adwords and LinkedIn Carousel Ads. Loyalty: Facebook custom audiences for offline conversions and Facebook messenger ads to communicate post sales. It was really compelling to hear different strategies that can deployed for all types of industries as many businesses pay too much attention to the bottom of the funnel. One important key element from this is making sure that all traffic you’ve got coming to your site is being used properly and to convert it along the way for any paid media campaign. Jon Myers, an experienced leader within the digital marketplace with over 19 years experience talks to us about the shift to the mobile first index by Google. This session gave me a great deal of SEO information and a roadmap of what to do! Mobile search is the new priority for Google and with 60% of searches via mobile it is vital we keep on top of this. After all, users who have a bad mobile experience are 60% less likely to revisit your page. The majority of B2B marketers understand the power of LinkedIn. As well as social networking, publishing content has become an influential tool that allows marketers to forge relationships with prospects. It is a great opportunity for you to show your expertise in your field and connect with others on a professional level. Understanding how to create posts that hook readers and include a good call to action is imperative if you want to create leads. But what content is the right content? What call to actions should you use? And what else should you include on these posts? 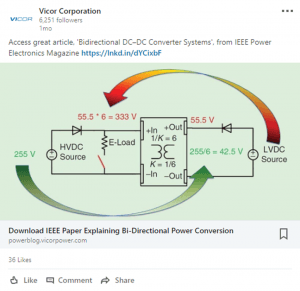 In this blog, I have accumulated some of the best LinkedIn posts in the electronics industry that I think are worth reading about. 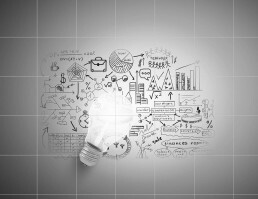 We hope this blog creates inspiration for you and your company. Vicor specialises in manufacturing high efficiency power supply systems. The corporation designs and develops modular power components and power systems. 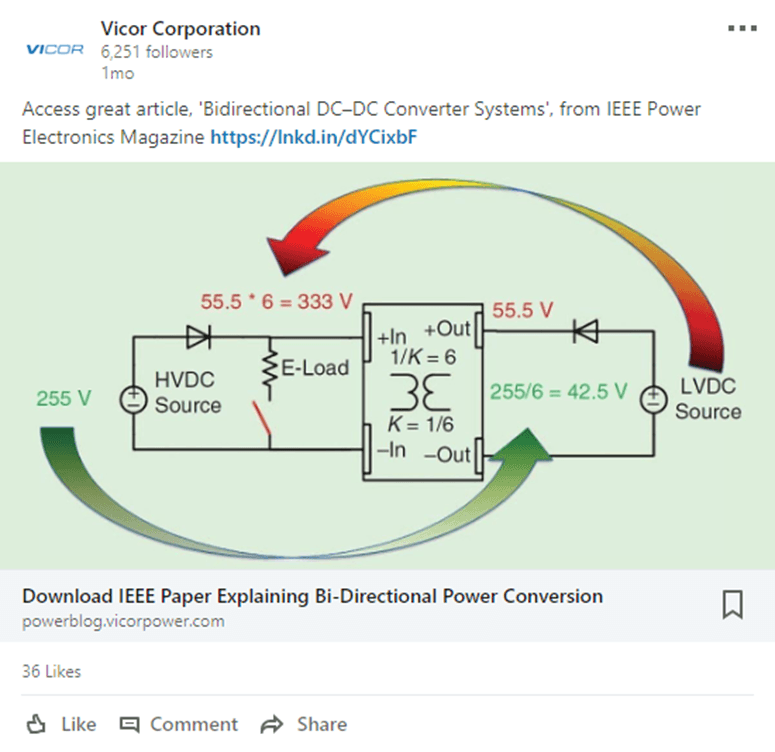 Most of Vicor’s LinkedIn posts include a call to action, for example in the post above; prospects can download an ‘IEEEE paper’. The link will take them to a landing page where prospects will fill out personal details to receive a whitepaper. Including a call to action within every post will help drive more readers to your content, improve the relationship between your company and customers and increase lead generation. Although call to actions come in many forms, they all share components that make them compelling. Make sure your call to action is simple and concise, it shouldn’t be highly sales focused and you need to think of how you can provide valued content to your readers and also give them an incentive to take action. Panasonic is an established award-winning company for their range of electronics and SD appliances. 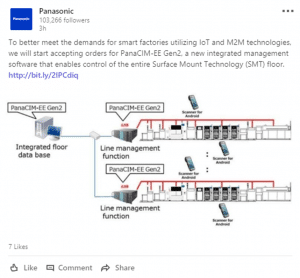 On LinkedIn, Panasonic focuses on providing readers with product content and they also have a good flow of information on their page. 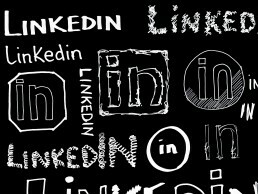 Engaging content on LinkedIn is imperative if you want to increase your reach, spark engagement and build brand awareness. Posting regular and valuable content will help create trust with your audience and present yourself as an expert in your field. 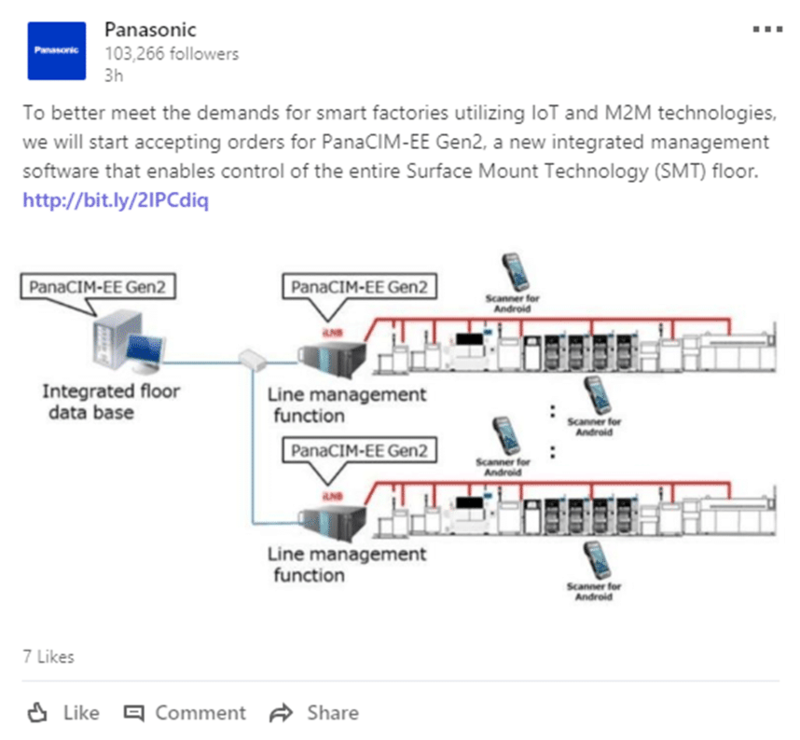 As seen in the screenshot above, Panasonic gives a short and concise description for the LinkedIn Ad and includes a link for readers to find out further information. Toshiba has nearly 1 million followers on LinkedIn and uses great imagery on their posts. Imagery is often essential to helping your content look engaging. Using relevant high-quality images are powerful with most people responding to visuals. When choosing an image for the ad, make sure it is high quality and is relevant to the post. Siretta specialises in designing and manufacturing cellular modems and signal analysers. 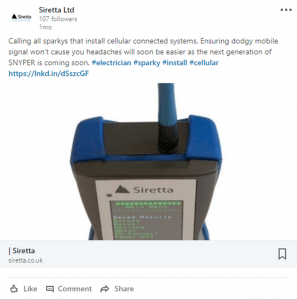 Siretta’s LinkedIn posts include hashtags, a useful strategy, even on LinkedIn. Using hashtags can help surface your post to people who may find it relevant and allows readers to find the post by searching for a particular word or phrase on LinkedIn. Although using hashtags on LinkedIn may not be everyone’s cup of tea if you do use them make sure they are relevant to your content, company and industry. Last summer, Jade Artaud joined Napier for a two-week placement for experience at a marketing and PR agency. Jade interviewed four people from different French magazine organizations on the topic of what journalist expect from agencies. Jade asked them several questions, but we have selected the best questions and answers from two interviews which we think are the most relevant. What do you expect from agencies and clients? In which way, can they be helpful to you? I expect to receive press releases, in DOC format, and it is imperative they contain images in JPEG. How important is it to have content in French? Do you ever use content sent to you in English? I don’t read press releases written in English. The process takes a lot of time, that I don’t have. Also, it is already complicated to read all the French press releases I receive. How will social media change journalism and publications? How important is social media to your job today? With two types of magazines to take care about, I don’t have time to deal with social media. Also, regarding the content of my journals, social media is not the right platform to target readers. Do companies need an office in France before you will cover them? No, if the information provided is likely to be of interest to French readers. Obviously, news regarding the supply of a product in Germany, for instance, will not be relevant to our readers. What has been the biggest change to business to business journalism in the past 3 years? I think the main change is due to the introduction of Internet and mobile telephony. Since then, social media appeared, and every company created its own website, etc. On the one hand, journalists spend more and more time selecting relevant news among several data still high, received through emails, newsletters and as a result, they have less time to look for information during investigations. On the other hand, using Internet allow journalists to rapidly find information they didn’t have access to before, leading to original cross referencing. Today, there is an influx of information, which constitutes a general problem (affecting both journalists and readers). The fact of “following” news constantly, tend to blunt critical thinking and can lead to a return of fatality. What do you think will be the biggest change in the next 3 years? I think there will be less and less appeal towards the research of raw data, and at the same time, a strong demand for structured articles (files, summaries, reports...) that will be used for the training of engineers and technicians. In the end, this is the training that will become important. I expect classic things such as press releases and contacts. Agencies are useful to network with people in charge of businesses. The biggest change has been the rise of digital publishing. It is becoming more and more popular. How important do you think blogs will become? According to you, could they replace publications? I don’t think blogs will replace publications. Following on from this Jade did some research on what French journalist want from agencies. Relevant information: PR professionals should know what journalists are working on, what they are interested about and what the latest topics they dealt with are. Quality rather than quantity: it is better for journalists to receive a few press releases related to their area of expertise rather than receiving a press release each time an agency writes one. If an agency sends too many irrelevant press releases, journalists will no longer take the time to read any of the content and further emails from the agency will be automatically deleted. To gain time: journalists are asked to be highly productive, which is a source of stress. PR agencies need to reduce journalists’ workload as much as possible. Regarding press releases, for instance, it means sending two versions: one written in English and one in French to French journalists. Not only does it speed up journalists’ work but it also increases the chances of a rapid publication for the press release. To make contacts: journalists expect that PR agencies will allow them to meet key figures such as the chief executive officer of a company. They want the appointment to be well-organised and schedule rapidly. According to a study conducted by CISION, most French journalist view social media as a useful tool for their job. Among the 290 French journalists who participated to this study, 91% use social media in their job. The most popular ones are Facebook and Twitter. Facebook comes first, as a way for journalists to publish and promote their articles. Then, they use Twitter to be aware of the latest news and buzz. Social media also allow journalists to evaluate the impact of their articles thanks to comments, likes and shares. In fact, social media can even become an indicator of what works and what doesn’t, leading 59% of French journalists to adapt their content accordingly.